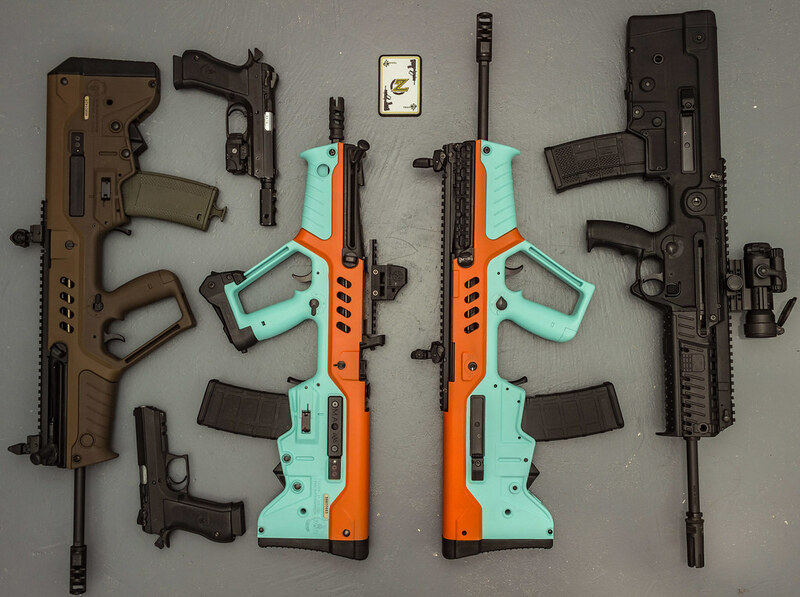 So, on the left we have the Muted Cerakote, while on the right we have the Bright Cerakote. We're curious to hear which you prefer and why! Interestingly the responses to this vary a ton by medium. Facebook loves muted, reddit loves bright, and instagram has been right down the middle. We're curious to see which was CGN falls. Part of why we like civilian firearms ownership is that it opens the door to guns in roles beyond weapons. A distinction that some people still struggle with. 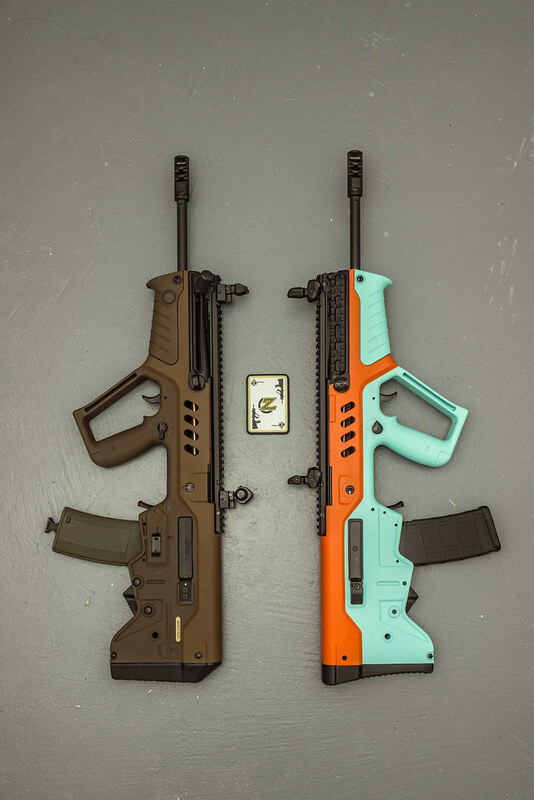 We wanted to offer a Tavor for both ends of the spectrum this time round. Go read that shlock to a soldier or a fireman or a football player or a bloody barber Theyll all knock your "this" right down your throat while sippin a beer and eating chicken wings.Then wipe their wee fingers on your pretty little pouch"
That's a nice gulf fuels livery like a race car GT 40 anyone ?